Join the 2019 Boston Pride team! Boston, MA – March 10, 2017 – Today, Boston Pride announced the recipients of the 2017 Boston Pride Community Fund that was established to provide grants to small nonprofits and other groups that support the LGBTQ community. Boston Pride convened an independent panel of community members who processed all the applications received at the end of 2016. The Boston Pride Community Fund was established by contributions received at last year’s Back Bay Block Party, Jamaica Plain Block Party and several other Pride events. 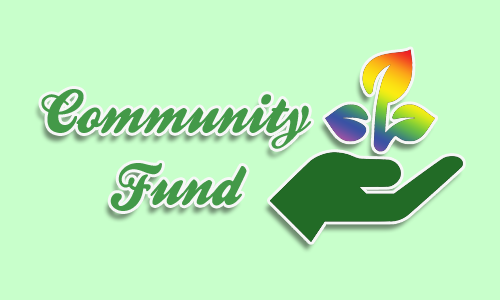 It is Boston Pride’s vision to support the Community Fund annually by giving back funds raised to small nonprofit organizations and groups within the LGBTQ Community. These awards provide the opportunity to educate the entire community about the important work these organizations and groups are performing in service of the LGBTQ community. Hebrew Senior Life Chaplaincy, Inc.
Lesbians of Color Symposium Collective, Inc. The New Boston Pride Committee, Inc., d/b/a Boston Pride, a nonprofit organizations founded in 1970, produces events and activities to achieve inclusivity, equality, respect, and awareness in Greater Boston and beyond. Fostering diversity, unity, visibility, and dignity, we educate, communicate, and advocate by building and strengthening community connections. With the additional contributions our community members have given at our JP and Back Bay Block Parties, we have established the Boston Pride Community Fund. Once a year, in support of our vision and mission, we will give back monies raised in our Community Fund to non-profit organizations and groups within our community. Boston Pride will use this opportunity to educate ourselves and others about the important work these organizations and groups are doing in service of our local community. Through the Boston Pride Community Fund, we aim to offer support and visibility to small and community-based projects. Are eligible to apply to the Boston Pride Community Fund any organization or group as long as they are based in the Greater Boston area and have been in operation for six months or more. Applications will be accepted through December 15, 2016. Submitted applications will be reviewed by a panel of community members, who will make a recommendation for funding to the Board of Directors of Boston Pride. Recipients will be announced in the month of January 2017. Awards will be disbursed by February 15, 2017. Projects submitted for funding through the Boston Pride Community Fund shall be conducted in the 2017 calendar year. Recipients shall submit a written report about the use of the funds by 10/01/2017. Failure to submit a report will bar applicants from further eligibility to the Boston Pride Community Fund. Recipients will be invited to the Boston Pride Open House to report on their project in the Spring of 2017. Our meetings are open to all. It is important that all voices in our community be heard, so do not hesitate and come attend / participate in our planning meetings. Boston Black Pride, Boston Latinx Pride and Boston Youth Pride team meetings: Check out our meetings calendar here.